The configuration of a DLink router is depending how you are planning to use your router. For important part of the configuration for basic usage of this router is probably on the 2 Internet connections. 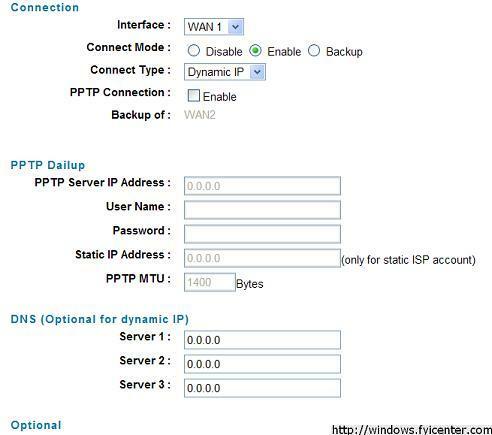 If your Internet connection offers dynamic IP, you don't need to enter anything. Other configurations are depending on how you want to use your router. You can try this configuration emulator, if you are interested.